As president of the French National Front, on 16 December 2015, M. Le Pen posted photos of bloody hostage executions by jihadists from ISIS, on her twitter account. She had found these published unrestrained on internet media. Via these twitter messages she was addressing Radio Monte Carlo (RMC) and announcer Jean-Jacques Bourdin. She accused Bourdin of having drawn a ridiculous parallel between her political party and ISIS, which had recently carried out attacks on France. Her point was to show how different the Daesh photos were from her own party's material. In what seems like a shockingly corrupt and cynical political tactic, The French Government got the European Parliament to remove Le Pen's parliamentary immunity, so that they could prosecute her for this relatively trivial reaction. Now, as reported in late September 2018, Le Pen is being required to submit to a psychiatric examination. 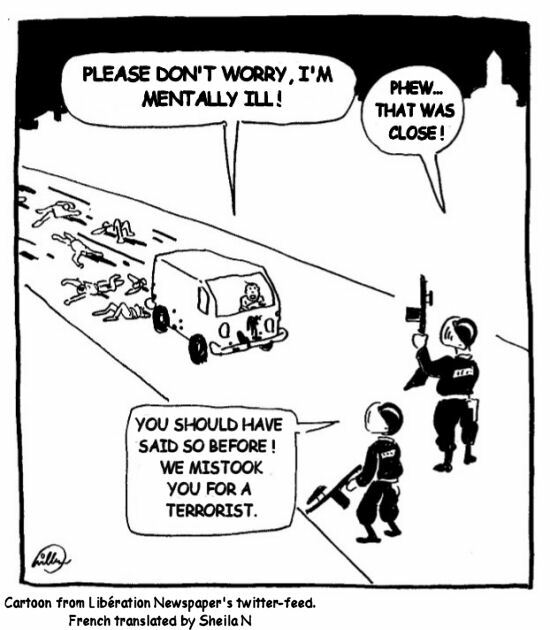 Whilst such an examination might seem like the ultimate attack on a rival politician by the French Government, these examinations are actually mandatory and routine in all French prosecutions for terrorism. What is not routine is to remove parliamentary privilege from a politician in order to prosecute him or her for an action designed to respond to a hyperbolic media taunt. Even Le Pen's rival and critic, Jean-Luc Melanchon, has criticised this requirement in the circumstances. Ms Le Pen is actually a qualified criminal lawyer herself. In the context of anti-globalist parties winning elections in Austria, Italy, Hungary, Slovenia and Poland, French President Macron is losing approval daily and Le Pen's approval is growing again. Potentially Le Pen could go to prison for up to five years. Macron has committed France to illegal US-NATO wars and is intent on destroying aspects of France's Civil Code provisions for labor ; presumably throwing a rival into prison would not be beyond him, any more than it was for Tony Abbott  in Australia. Jean-Luc Mélenchon, previously of French Communist and Socialist parties, currently leader of La France insoumise, tweeted that he was "in total disagreement with the psychiatrisation of political decisions." He said that "Madame Le Pen is politically responsible for her political acts." These statements were followed up by David Rachline, Rassemblement National Mayor of Frejus, who said, "Psychiatrisation of adversaries was a soviet specialty of totalitarian regimes. 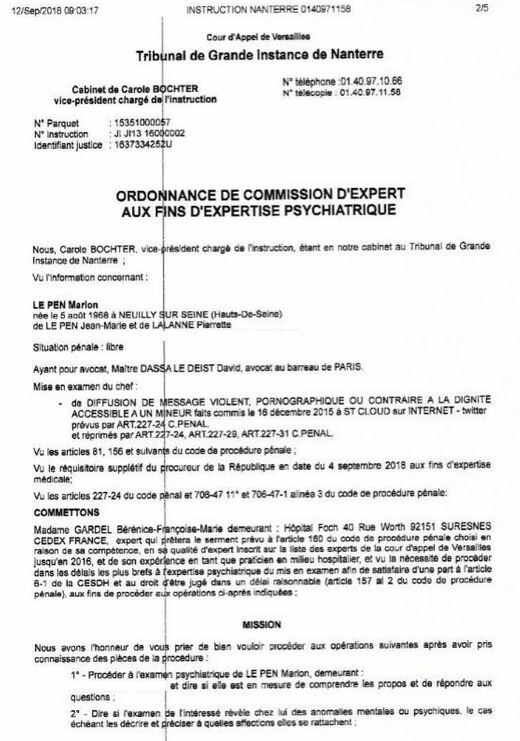 Now we have the right to it in France under Macron..." (French Source: https://www.valeursactuelles.com/politique/melenchon-en-desaccord-avec-lexamen-psychiatrique-de-le-pen-99135. and 5 other points of similar implication. 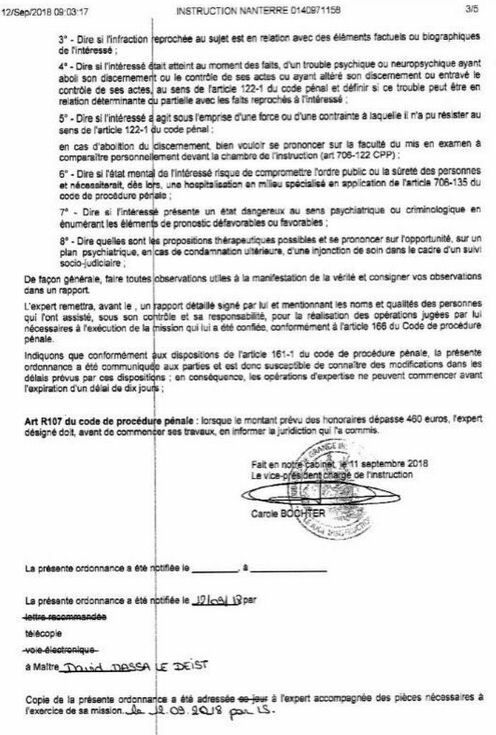 http://www.filoche.net/2014/11/30/peut-on-le-croire-lordonnance-macron-supprime-le-droit-specifique-du-travail/. Looks like the same workplace bargaining that Australia was bullied into, which then meant that employers could profit from mass worker immigration with impunity.